Preeclampsia, a dangerous condition that may occur during pregnancy, can lead to serious complications for both mother and baby. Driven in part by older maternal age and greater obesity, rates of preeclampsia are rising rapidly, yet surprisingly there are few national estimates of the health and economic impact of preeclampsia on mothers and their infants. A new study in the American Journal of Obstetrics and Gynecology (AJOG) provides sobering data on this topic by examining the short-term costs associated with the condition. 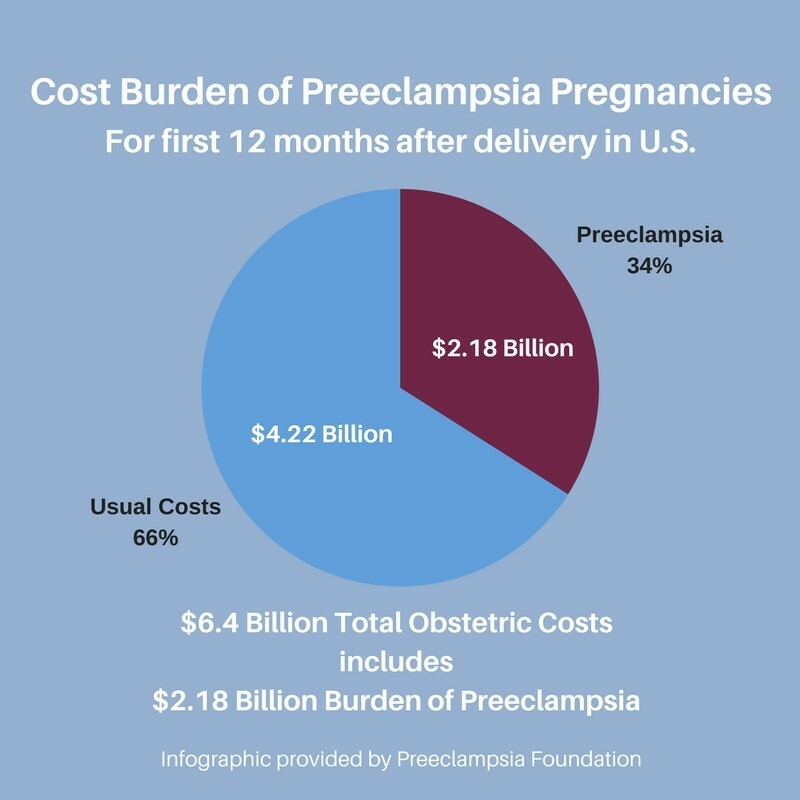 Significantly increasing the chance of adverse health outcomes, preeclampsia accounts for over $2.18 billion of health care expenditure in the first 12 months after birth. The articles are “Short-term costs of preeclampsia to the United States health care system,” by Warren Stevens, PhD; Tiffany Shih, PhD; Devin Incerti, PhD; Thanh G. N. Ton, MPH, PhD; Henry C. Lee, MD; Desi Peneva, MS; George A. Macones, MD; Baha M. Sibai, MD; Anupam B. Jena, MD, PhD (http://dx.doi.org/10.1016/j.ajog.2017.04.032), and “Editorial: Health and economic burden of preeclampsia: no time for complacency,” by Rui Li, PhD; Eleni Tsigas, BA; William M. Callaghan, MD, MPH (http://dx.doi.org/10.1016/j.ajog.2017.06.011). They will appear in the American Journal of Obstetrics and Gynecology, volume 217, issue 3 (September 2017) published by Elsevier, and will be openly available when the embargo lifts. Full text of these articles is available to credentialed journalists upon request. Contact Eileen Leahy at +1 732-238-3628 or ajogmedia@elsevier.com to obtain copies. The American Journal of Obstetrics and Gynecology (www.AJOG.org), known as “The Gray Journal,” presents coverage of the entire spectrum of the field, from the newest diagnostic procedures to leading-edge research. The Journal provides comprehensive coverage of the specialty, including maternal-fetal medicine, reproductive endocrinology/infertility, and gynecologic oncology. It also publishes the annual meeting papers of several of its eight sponsoring societies, including the Society for Maternal-Fetal Medicine and the Society of Gynecologic Surgeons. The journal has also been recognized as one of the 100 most influential journals in Biology & Medicine over the last 100 years, as determined by the BioMedical & Life Sciences Division of the Special Libraries Association (2009).